Mermaids! 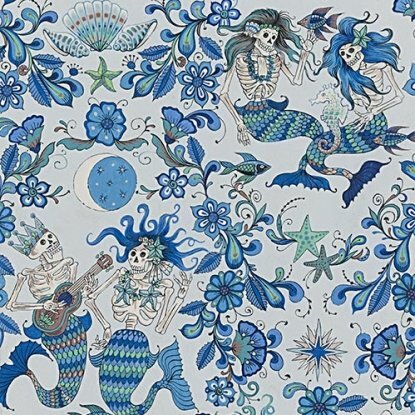 That's right - look closely and you'll see mermaid in these swimming skeletons. 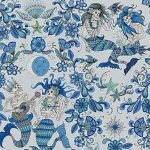 Alexander Henry artists have done it again - created a beautifully artistic fabric for you!